We believe transparency and accountability in a cremation provider are essential. Therefore, we have placed standards well above what North Carolina law requires and that no other cremation provider can compare. The most important component in your choice of cremation is to know who owns and operates the crematory. We operate our own crematory. Because we control all aspects of the cremation process, you are ensured of the highest standards of honesty, accountability and trust from our superbly trained, licensed staff. Knowing your our loved one never leaves our care will give you that much needed peace of mind. Our directors may be reached 24/7 at (919) 231-6120 to answer any questions you may have, or to set up an appointment, at no obligation. What makes A Choice Crematury unique when it comes to cremation? Higher Standards - Our family's philosophy is to set standards for every aspect of cremation that exceeds the State requirements as well as those of other cremation providers. Our Crematory - We own and operate our own crematory for the exclusive use of the families we serve. Most providers do not own their own crematory and many outsource the entire process from the transfer and refrigeration to the cremation without ever identifying your loved one. In Our Care - Once your loved one is in our care, they remain in the sanctity of our facility until the urn is returned to you or delivered to the service location. Many companies have multiple transfers of the body prior to reaching the contracted crematory and after the cremation, the urn maybe transferred multiple times until it returns to the family. 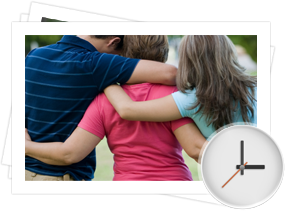 Peace of Mind - We require all of our families to provide a recent, color photograph for a positive means of identification of their loved one. Relying on the types of identification forms from other care facilities (hospitals, nursing homes, and the medical examiner) are not acceptable to us and do not meet our standards of care. Three of our staff members will positively identify your loved one prior to cremation. Very few, if any, cremation providers in our profession require a positive means of identification as a minimum requirement. Quality Assurance - We have a checklist to which we adhere before, during, and after the cremation process, to insure the quality and care of every family we serve. This is why we offer the public an opportunity to see our crematory for themselves. If you are interested, we invite you to call one of our directors anytime at (919) 231-6120 to answer any questions you may have, or to set up an appointment, at no obligation.